The Carleton Centre for Community Innovation (3ci) is working with the Ontario government and community organizations to develop an impact measurement standard for Ontario Social Enterprises. Social enterprises are organizations that use business strategies to achieve a social or environmental impact. While generating revenues from the sale of goods and services, social enterprises also expressly intent to create positive outcomes, and measure their results. As the business grows, the social impact grows. An impact measurement and reporting standard is a common way for Ontario Social Enterprises to understand and communicate the effects they have on society, community and the environment. As part of Ontario’s Social Enterprise Strategy, the Ministry of Economic Development and Growth (MEDG), working with the federal government, Ontario Trillium Foundation, impact measurement experts, social enterprise leaders and other funders and foundations, convened an Impact Measurement Task Force to develop an action plan for a standard approach to impact measurement and reporting by Ontario social enterprises. The Ministry secured KPMG to facilitate the development of the Task Force and Action Plan. To what degree to Ontario SEs feel that the proposed Action Plan is appropriate? How much of the proposed solution could SEs implement today? What is needed to be more ready? Join one of our four convenings. Convenings will include a brief presentation on the recommendations and two interactive exercises to help the Social Enterprise community understand the recommendations and to help us assess next steps related to the sustainable development goals. Complete this short 20-minute survey [Click here]. The survey questions will tell you the key recommendations from the report (You don’t need to read the report first!) and ask questions about your organization so we can assess next steps related to the data platform, governance indicators and common process. On May 15th at OCE Discovery held at the Metro Toronto Convention Centre, the Ontario Social Economy Roundtable (OSER) launched its charter. Finalized over a long process of consultation and collaboration, the OSER charter solidifies the values of the social economy in Ontario. It offers a look at this ecosystem, puts definitions in place and shines a spotlight on the role of stakeholders in the social and economic development in the province. OSER convenes dozens of organizations linked to the social economy in Ontario. Growing out of loose collaboration, several networks and organizations have organized more cohesively under the banner of the Ontario Social Economy Roundtable (OSER) to work on provincial landscape- spanning issues in a more coordinated fashion. OSER members were excited to be gathered at the annual OCE Discovery alongside Canada’s key players including industry leaders, academia, government, investors, entrepreneurs and social innovators. Working across sectors, this is an ideal moment to build awareness for an increasing demand for an economy that values people and planet. The charter is available to be viewed online. Any and all individuals or organizations who subscribe to its values are invited to sign and share it. Ontario Centres of Excellence (OCE), in partnership with the Ministry of Economic Development and Growth (MEDG), will host the third Social Enterprise Zone and Pitch Competition at Discovery 2017 on May 15 and 16. Twenty-four Ontario-based companies will be invited to exhibit their social innovation on the Discovery show floor. This will build broader awareness of the companies that exist in this niche market, provide exposure to potential private investors, and engage the entire innovation ecosystem. Successful applicants will receive a complimentary 6×8 foot booth, two attendee passes, and travel costs covered if outside the GTA. This exclusive opportunity gives you access to experts, industry, government funders, investors, engaging keynote speakers, fascinating panel discussions, networking opportunities and an opportunity for face-to-face meetings with sector experts. As well, the Pitch Competition will provide a platform for five- eight of the showcase companies to pitch during Discovery for a $25,000 award, including a $10,000 award from MEDG, a $5,000 award from the Business Development Bank of Canada (BDC) and a $10,000 legal-services package from Norton Rose Fulbright to assist with the further development of their business. Participation in the Pitch Competition is completely optional. However, we encourage any business applying for the Social Enterprise Zone to consider this incredible opportunity to further expand the development of your company. Does your social enterprise have products or services you want to promote this winter holiday season? We are pleased to share the great news that the Canadian CED Network has been contracted by the Government of Ontario’s Social Enterprise Branch to create a Social Enterprise Gift Guide in time for holiday giving. The Gift Guide will promote about 100 gift ideas and will be hosted on SEontario.org and ESontario.org. For those of you who remember the previous Holiday Gift Guide on SEontario.org, this will be similar but larger, more product focused, and fully searchable by product type, price range, region and several other categories. Each social enterprise entry will be identified by type (e.g. co-operative, nonprofit, B Corp, etc. ), helping to build awareness of these sectors and the full range of social enterprise in Ontario. The Guide will be available in English and French. Organizations with bilingual capacity should complete the forms on SEontario.org (English) and ESontario.org (French – form to be published soon). This is a landmark opportunity to increase social enterprise sales and to build awareness of social enterprise in Ontario substantially. In addition to the main online guide there will be a printable (pdf) Feature Product Gift Guide with 30 -40 selected products from different social enterprises from across the province. This will be a high quality teaser, with links to promote the full online catalogue. This pdf version is inspired by the B Corps Gift Guide 2013. To submit your product for the Feature Products promotion, simply complete the Feature Products section at the end of the online submission form. Please note the November 7 deadline for applications to the Feature Product Gift Guide. You have more time for the larger online guide. Simply click on the following link to the online submission form and create a separate submission for each product or group of products you wish to promote: https://seontario.org/social-enterprise-gift-guide-2016-submission-form/. Before you begin, make sure you have access to pictures of your products and logo. Please complete all relevant fields. Submit by November 14 for the Social Enterprise Gift Guide launch in mid-November. Once the Social Enterprise Gift Guide is launched in mid-November we hope you will help us to promote it widely. We look forward to working with you to showcase your social enterprise’s products and services. If you have any questions, please contact Paul Chamberlain at pchamblerain at ccednet-rcdec.ca. With Comments Off on Does your social enterprise have products or services you want to promote this winter holiday season? 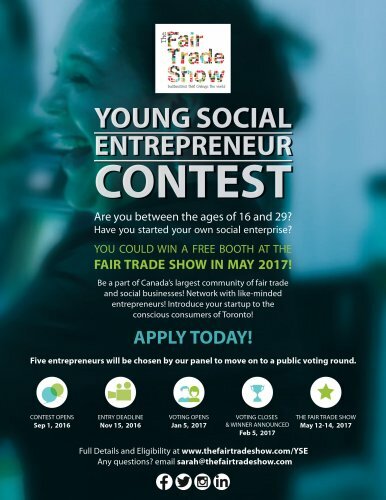 The Fair Trade Show has launched their Young Social Entrepreneur Contest for 2017! Each year The Fair Trade Show provides one emerging, youth-led business with the opportunity to exhibit for free. This year they are including the local community in their quest to find the winning business! The contest includes a voting round that invites the public to vote for their favourite social business. To enter the contest fill out the entry form and create a 1 to 3 minute video explaining your business and how it promotes social justice, environmental well-being or economic empowerment in communities at home or abroad! Get creative! If your entry is accepted to the voting round, the videos will be shared publicly. Fill out the online application and share a link to your video (available September 1, 2016). Five entrepreneurs will be chosen by our panel to move on to a public voting round. Nominations open September 1, 2016 and close November 15, 2016. Your videos will be uploaded on to our website and shared on social media. Then the the public will have the opportunity to vote for their favourite social enterprise! The winner will be announced February 20, 2017. Innovation, Science and Economic Development Canada (ISED) is identifying opportunities to support or lessen barriers to innovation and growth in the social enterprise sector. 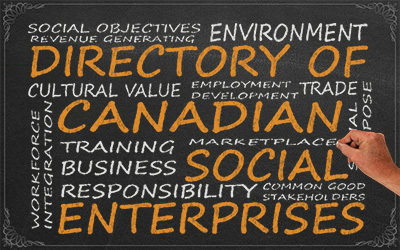 As part of this support, ISED has launched a Directory of Canadian Social Enterprises (www.ic.gc.ca/se). The directory will serve to increase the visibility of social enterprises and provide procurement opportunities. The directory allows social enterprises to self-identify and promote the goods and service they provide. It allows corporations that have supplier diversity programs, government procurement officers, and companies looking to support social minded organizations to connect with social enterprises. The directory is part of Canadian Company Capabilities (CCC) website. CCC is a free centralized, searchable database of some 50,000 Canadian companies. CCC is one of the more popular government websites with more than 5 million domestic and international visitors last year. Being listed in CCC means that companies will be seen by more potential buyers. Being listed in CCC can also improve the companies rankings on Google and other search engines. The directory complements existing supplier diversity directories (Aboriginal businesses and women-owned businesses) on the site. The directory has just been launched, and ISED is working with partners in the community to promote the directory to get more social enterprises to register. The directory defines social enterprise as an enterprise that seeks to achieve social, cultural or environmental aims through the sale of goods and services. The social enterprise can be for-profit or not-for-profit but the majority of net profits must be directed to a social objective with limited distribution to shareholders and owners. Social enterprises use business strategies to achieve a social or environmental impact. While generating revenues from the sale of goods and services, social enterprises also expressly intend to create positive outcomes, and they measure their results. As their business grows, the social impact grows. Across the province, social enterprises are reducing poverty, protecting the environment, and building stronger communities – all while creating jobs, growing revenues, and attracting investment capital. Ontario is home to approximately 10,000 social enterprises, businesses that are building solutions in the fields of inclusive employment, education, health, and environmental sustainability. Equipping social enterprises with solid business fundamentals. Building a strong foundation to serve the communities of today and tomorrow. Connecting social enterprises to markets and capital to grow and scale. Unlocking new markets and capital to help maximize their potential. Demonstrating the value of social enterprise and social finance. Promoting their potential to investors, government, and communities. Ontario will invest more than $6 million in the first year of this renewed strategy. Ontario is committed to supporting a thriving marketplace of sustainable and scalable social enterprises that drive economic development while creating social and environmental impact. Ontario’s social enterprise strategy will accelerate the growth of this vital sector, positioning the province as a global leader in social enterprise and social finance by 2021. Ontario’s social enterprise strategy incorporates the input of over 400 Ontarians – individuals from the non-profit, for-profit and public sectors, social entrepreneurs, academics, and others. They shared their ideas both online and in person during consultations hosted in Toronto, London, Ottawa, Sault Ste. Marie, Thunder Bay, Sudbury, and Orillia. Community organizations and sector leaders co-hosted these consultations. Ontario’s social enterprises employ an average of 38 staff. Ontario’s social enterprises generate an average of $1.2 million in revenues, including $0.9 million in sales. Ontario is home to approximately 10,000 social enterprises. 45% of Ontario’s non-profit social enterprises have a poverty reduction focus. Social enterprises such as Building Up, Groupe Convex, CigBins, Options Printing, and Good Foot Delivery create training and employment opportunities for people facing barriers to the labour market. Building Up trains and employs people facing barriers to the labour market to provide energy-efficient retrofits. Twenty One Toys, Forward Vision Games, Textbooks for Change, Jump Math, and Future Design School are social enterprises on a mission to improve learning outcomes for people of all ages. Twenty One Toys designs and manufactures toys that teach 21st century skills, including empathy, failure, creative communication and collaboration. SolarShare, KARIBU Solar Power, CoPower, and Fresh City Farms are some of the many social enterprises tackling various environmental challenges. SolarShare develops commercial scale solar energy installations and provides opportunities for everyday Ontarians to invest in a renewable energy future. Social enterprises such as QoC Health, Eve Medical, Lucky Iron Fish, Plan A Health Care Staffing Solutions, and TranQool are improving health and wellness outcomes for under-served populations. QoC Health partners with health care providers to develop technology-enabled and patient-centred products and services. Learn more about how social enterprises are helping to create jobs, attract investment, and build vibrant communities, email the Social Enterprise Branch or follow us on twitter at @ONEBusinessca. This webinar highlighted key findings from Enterprising Change: Report of the 2015 Social Enterprise Survey for Ontario. We shared many of the most relevant sector-wide results with a particular focus on the role social enterprise plays in reducing poverty through generating employment. This survey is the first research of its kind in Canada to include analysis of both for-profit and nonprofit social enterprise. Comparisons between the two models were shared. The webinar will also featured comments on the survey findings by the Government of Ontario’s Social Enterprise Branch. We invited practitioners, policymakers, and enthusiasts from across civic, public, and private sectors to take part in the webinar. This webinar was brought to you as part of ECONOUS2016, the National CED Conference, that took place in Montréal May 18-20, 2016. Enterprising Change provides a snapshot-in-time of Ontario’s social enterprise sector in order to increase awareness and inform actions to support its development. This report builds on previous research that the Canadian CED Network conducted in 2012, titled Inspiring Innovation: the Size, Scope and Socioeconomic Impact of Nonprofit Social Enterprise in Ontario. Enterprising Change also contributes to the national profile being created through similar surveys that have been conducted across the country. All of these reports contribute to a better understanding of a national entrepreneurial movement within the nonprofit sector. 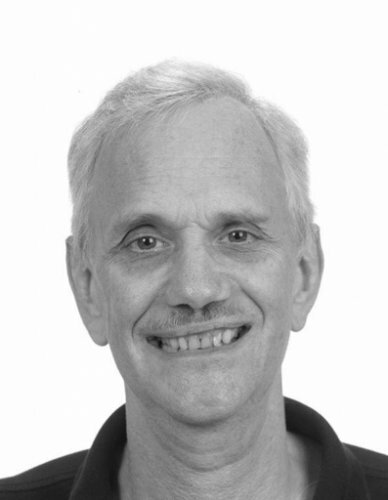 Before joining CCEDNet, Paul spent 18 years working as a department director with Dixon Hall, a multi-service neighbourhood centre in downtown east Toronto. Paul also initiated and chaired the Downtown East Community Development Collaborative in Toronto, which created an inclusive, integrated and comprehensive model for the delivery of employment services. With CCEDNet Paul’s work has focussed on both national and Ontario-based projects, demonstrating the effects of CED on poverty, youth peer mentoring and immigrant social enterprise. Currently he supports the development of the Ontario network through involvement on the Ontario Social Economy Roundtable, managing seontario.org, and conducting the provincial survey on social enterprise in 2012 and 2015. Muska Ulhaq works on reporting, policy issues, updating finance records and contact management for the MaRS Centre for Impact Investing. She also provides the MCII team with events and covening support. Muska is also the Co-Chair of MaRS Social Committee and manages various initiatives and leads the team on organizing events for MaRS staff. 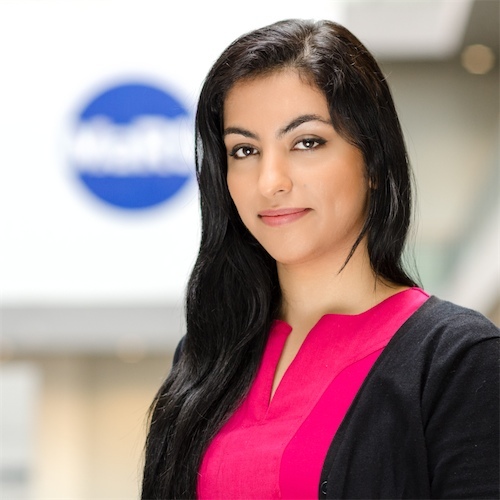 Prior to joining MaRS, she worked as a Policy and Research Analyst with Humber Bay Shores Condominium Association and as a Policy Analyst with the Ontario Ministry of Revenue. 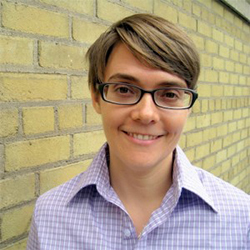 Muska has a master’s degree in Public Policy from University of Toronto’s School of Public Policy and Governance, and an undergraduate degree in Political Studies and Psychology from Queen’s University. Muska is passionate about social policy and is an active volunteer with TAIBU Community Health Centre. She is fluent in Farsi (Dari), Hindi, Pashto and Urdu. Katie is a lawyer and MBA graduate with extensive Canadian and international experience in consulting, advocacy, and social innovation. She worked with the MaRS Centre for Impact Investing from 2013 to 2015, building and leading the Community Finance Solutions program. Katie has been involved in social change and innovation for over 15 years, including serving as the Deputy Director of an international advocacy organization. She previously ran a consultancy in Cambodia helping local and international non-governmental organizations increase their impact. She has also practiced law and clerked at the Supreme Court of Canada. Katie studied Anthropology at Harvard University and received her law degrees and an M.B.A. from McGill University. Over the last 30 years Ethel has assisted the development of numerous social enterprises in a variety of sectors, including agricultural, agrifood, cultural, housing and childcare. 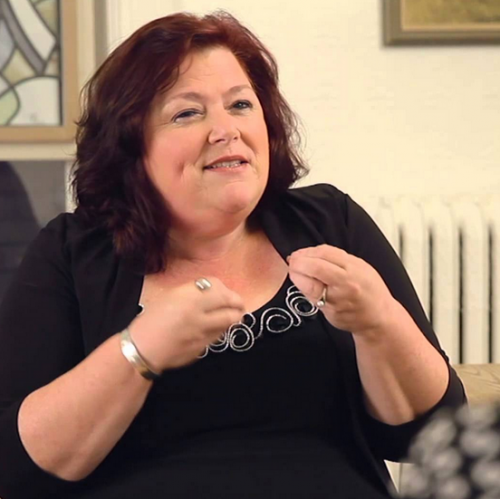 In addition to teaching college and university, Ethel has mentored hundreds of communities and social entrepreneurs throughout Canada, is a member of the Canadian CED Network, and founding member of the Social Enterprise Council of Canada. She supported capacity building missions in Mali, Niger, Senegal, Republic of Congo, Romania and Morocco and is involved in the International Network for the Promotion of the Social Solidarity Economy-North America (RIPESS- NA) and the Social Enterprise World Forum (SEWF). A few years ago, Ethel joined the Canadian Centre for Community Renewal (CCCR), committed to crafting solutions and adaptations to the critical challenges stemming from climate change and peak oil. This session began with presentations by Paul and Muska, followed by an interactive question and answer period facilitated by CCEDNet member Ethel Côté and ending with commentary from Katie. (London, ON) – Innovation Works, London’s new coworking space for social innovators, has announced a first-of-its-kind affiliation in Canada with the Centre for Social Innovation (CSI), Canada’s first coworking space and a globally recognized leader in the field of collaborative communities and innovation since its inception in Toronto in 2004. The seeds of the partnership began several years ago when Pillar Nonprofit Network, a London based organization that catalyzed the creation of Innovation Works, engaged CSI to support the development of a coworking space in London. The relationship blossomed and today’s announcement of the affiliation is intended to strengthen each organization’s offerings to their respective communities and create a bridge for new collaborations between social innovators in Toronto and London. Access shared technology platforms to enable innovators in both cities to more easily connect with one another. Enable members from each organization to access each organization’s member lounges and access Wi-Fi during business hours. Enjoy discounts on meeting room and event facilities. This partnership has been designed to benefit entrepreneurs, students, leaders and government organizations. Innovation Works intends to further expand their partnership, as they are looking to establish similar exchanges with other spaces throughout Canada. The Centre for Social Innovation is a social enterprise with a mission to catalyze social innovation. They have four locations in Toronto and one in New York City and are home to over 3,500 social innovators. At the 11th annual Ontario Centres of Excellence Discovery Conference, the province announced the successful Ontario Social Impact Voucher program will return for the second year. In partnership with the Ontario Centres of Excellence, the program will provide 200 vouchers worth up to $3,000 each to eligible social entrepreneurs across Ontario to access relevant training programs such as business planning or marketing to help scale up their business. Last year, 125 vouchers were fully subscribed within the first six months of the program’s launch, allowing participants to grow their business in terms of both customers and partnerships through useful training programs. Participants in the pilot program include social enterprises across a range of sectors, including health, cleantech, digital media and information and communications technology and advanced manufacturing. Ontario is also announcing the winners of the Young Entrepreneurs, Make Your Pitch competition. Six promising entrepreneurs will receive a reserved spot in Ontario’s Summer Company program, which provides mentoring and funding to help launch new businesses. Supporting youth entrepreneurship opportunities and helping start-ups succeed is part of the government’s economic plan to build Ontario up and deliver on its priority to grow the economy and create jobs. Submit here to share your SE news.